To enter the site, click on Idaho State or select a County or Reservation above. Look at trends over time and compare your area to your neighbors or the state as a whole. 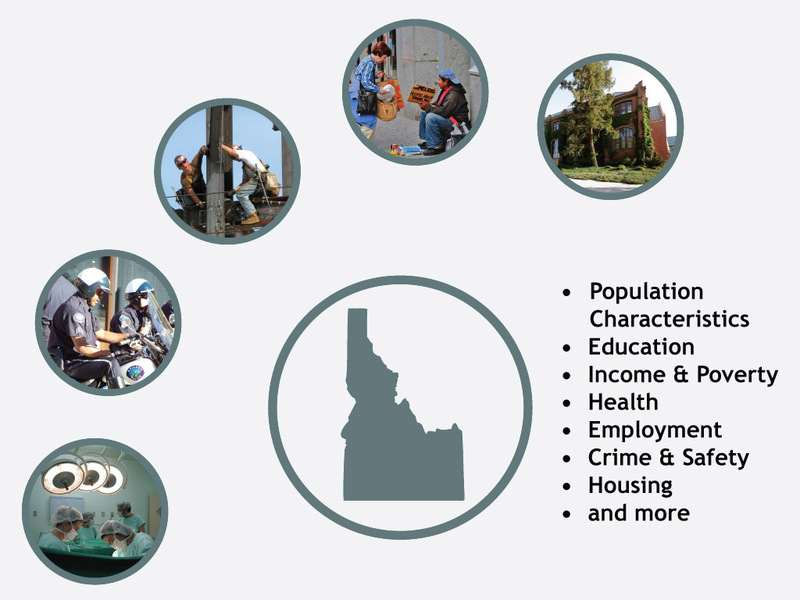 Check out Idaho at a Glance for more detailed information on specific topics. Also see University of Idaho Community Data Tools for detailed brochures for each Idaho county and tips for using and understanding the data.